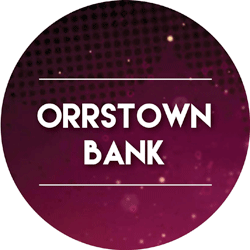 When you sign up for a Think Pink Checking account at any Orrstown Bank you get all the great benefits of Reward Checking, plus a donation is made to the PBCC. 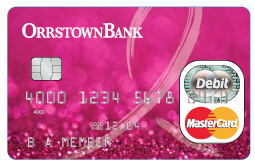 You also get to show off this fabulous Think Pink MasterMoney check card! Click here to find a branch near you. 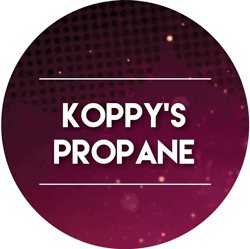 For every gallon of fuel delivered from the truck, Koppy's Propane donates one cent to the PBCC - an estimated annual donation of $5,000. 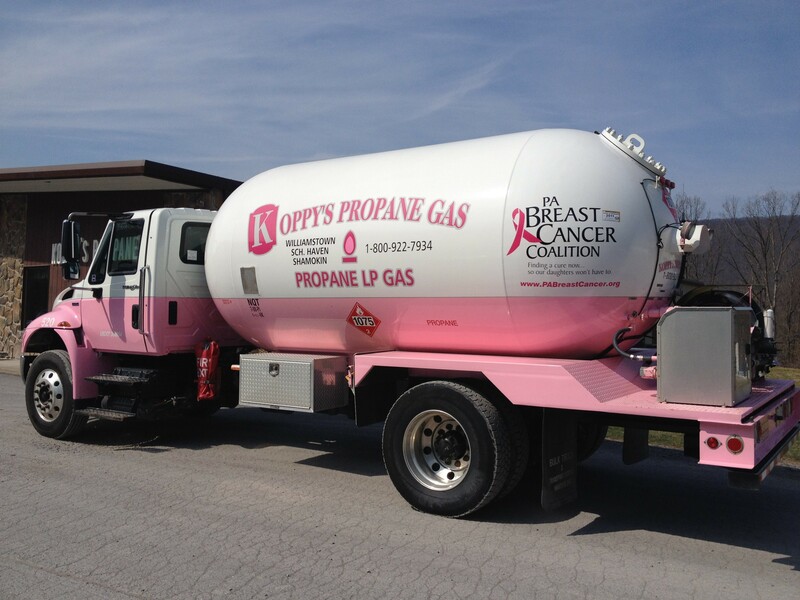 Look for Koppy's pink propane truck in your neighborhood! C hick Coffee is the perfect gift for girlfriends, coffee lovers and foodies in your life. 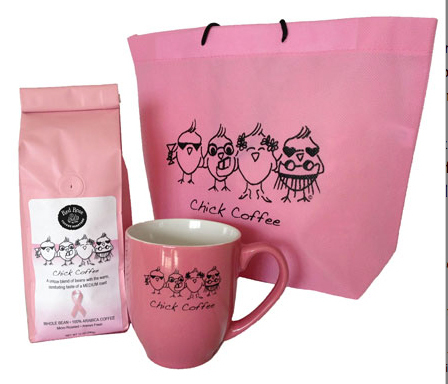 Chick Coffee is micro-roasted, 100% Arabian coffee packaged in PINK! It can be bought in individual 12oz bags for $999 or as part of the Chick Coffee gift set for $19.99. 10% of all profits for Chick Coffee and any other coffees ordered online at RedRoseCoffeeRoasters.com will be donated to the PA Breast Cancer Coalition by using donation cose PABCC at checkout. Order yours today! Pick u p your pink Wissler Motors plate to receive a discount on an oil change and make a donation to the PBCC at the same time! 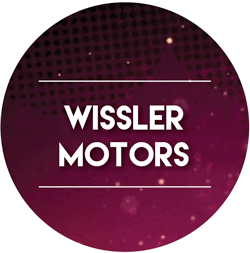 If you head to Wissler Motors with your pink Wissler plate, Wissler will donate $1 to the PBCC for every oil change completed! Oil changes are regularly $38.90, but with the pink Wissler plate, they are only $19.95!! Head over to Wissler Motors in Mount Joy to participate. 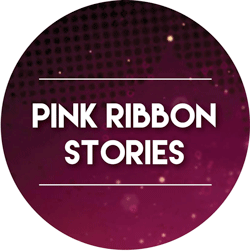 Pink Ribbon Stories is a wonderful collection of stories from 123 women and men whose lives have been affected by breast cancer. For some of the stories we should probably issue a "tissue warning," and for others a "laughter warning," just Depends -- yes, the pun IS intended!! 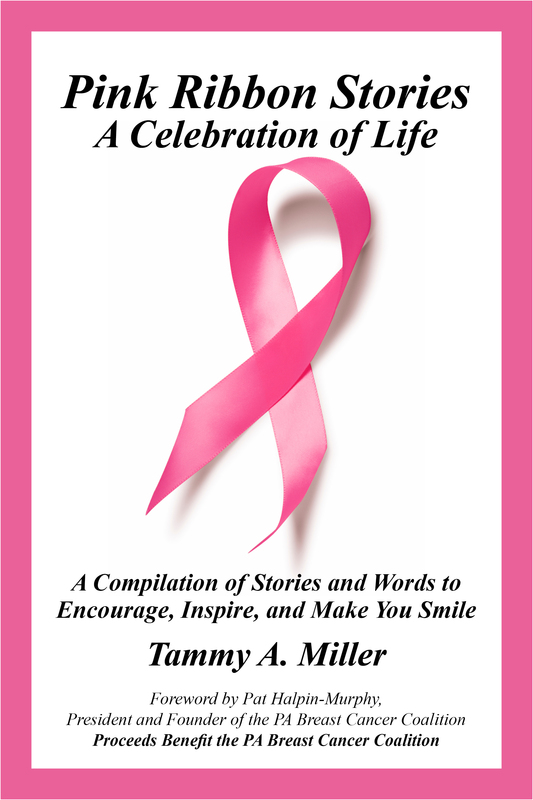 There are stories that will warm your heart; make you laugh; cause you to pause for reflection; and others that simply tell a story of a courageous journey through life. You may purchase the book on your e-reader for only $9.99.